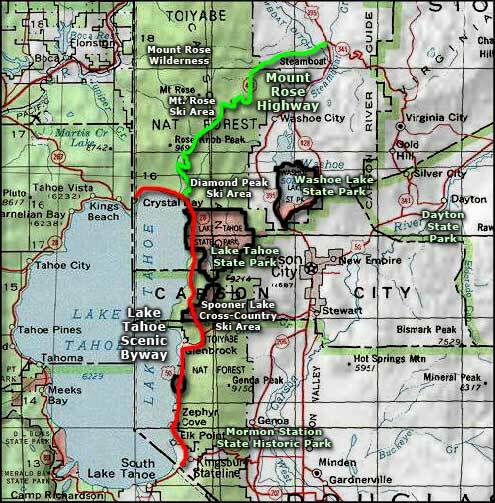 Lake Tahoe-Nevada State Park extends along the eastern shore of Lake Tahoe south of Incline Village. The lakeside areas of the park offer crystal clear water, rocky coves, gently sloping sandy beaches and panoramic views of the lake. 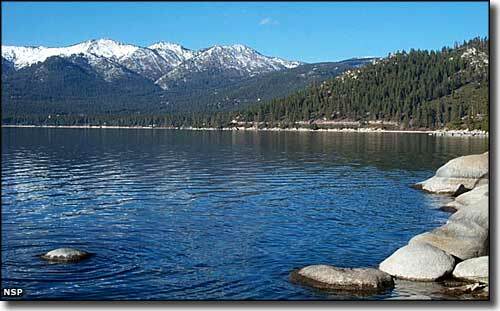 The most popular area of Lake Tahoe-Nevada State Park is Sand Harbor (about 3 miles south of Incline Village on State Route 28) with a boat launch, long sandy beaches and picnicking and group facilities. The Sand Point Nature Trail is handicap accessible, about 1/3 mile long and offers interpretive signs and great views of the lake and surrounding area. And in July and August, the Lake Tahoe Shakespeare Festival puts on shows at Sand Harbor. Between Incline and Sand Harbor you'll find Hidden Beach and Memorial Point, both of which offer more secluded access to the lake and incredible views of the area. The rocky shoreline at Memorial Point is one mile north of Sand Harbor and is popular with the fishermen, sunbathers and photographers. 2 miles north of Sand Harbor but with no parking lot, the large granite boulders and narrow sands of Hidden Beach are most popular with local sunbathers and swimmers. Another popular day-use area for fishing and boat launching is Cave Rock, along US 50 near Zephyr Cove, 3 miles south of Glenbrook and just below the Cave Rock Tunnels. No camping or overnight parking is allowed around the lake beaches. And practice "leave no trace" discipline: pack it in, pack it out.